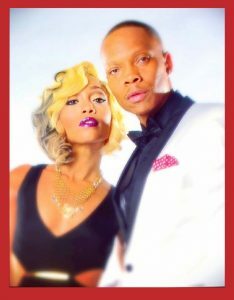 Greater Chatham Initiative presents its 1st annual fundraising gala featuring entertainment by Ron DeVoe and Shamari DeVoe. Join the Greater Chatham Initiative for its first ever fundraiser. Held during the global giving movement known as Giving Tuesday, funds from this event will be used to further GCI’s mission, investing in the communities of Chatham, Auburn Gresham, Avalon Park, and Greater Grand Crossing so they can re-emerge as communities of opportunity and choice. The Event will be held on Giving Tuesday, November 27, 2018, at Stony Island Arts Bank 6760 S. Stony Island Ave, Chicago, IL 60619 from 5:00 until 8:00 PM. Arts Bank exhibit tours will begin at 6:00 PM with featured exhibits on the Black Panther Party and Johnson’s Publishing followed by a performance by Ron DeVoe (member of New Edition) and his wife Shamari DeVoe (member of Blaque & Real Housewives of Atlanta). Purchase tickets to the event online via Bloomerang. Greater Chatham Initiative offers a variety of sponsorship packages. As a sponsor, you will be recognized during the event and your logo will be placed on all promotional materials. Have questions? Contact Barbara Sutton, Resource Development Coordinator at barbara@greaterchathaminitiative.org or 773-644-1451 Ext. 104. Make a contribution to the event online via Bloomerang. Checks payable to the Greater Chatham Initiative can be mailed to Greater Chatham Initiative P.O. Box 19217 Chicago, Illinois 60619.